After finding two girls under the age of 5 locked inside a car in 84-degree heat, Connecticut police arrested their real estate agent father for allegedly leaving them to do a home showing, according to local news reports. 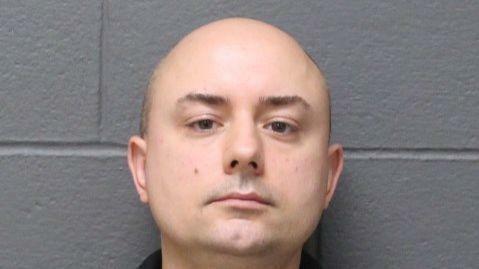 Karl Luberda, a real estate agent with Tea Leaf Realty in West Hartford, was arrested on Aug. 22 and charged with two counts of risking injury to a child, as well as two counts of leaving a child under 12 without supervision, NBC Connecticut reported. He was booked on a $5,000 bond, according to the Southington Police Department’s Facebook page. “If telling my story can prevent even one other hard working Agent with children of their own from experiencing a similar situation then maybe some good may have come from it. It only takes one phone call from someone who “thinks” your child is in danger to suddenly have your whole world come crashing down. My job that day was to give access to a property to allow my client to do their final walk-through inspection prior to closing on it the next day. I met my clients and unlocked the door for them which was around 30 feet away and in line of sight to where where I parked my SUV. They had some concerns that we discussed for about 15 minutes while I kept a close eye on my vehicle. At the same time there some workers from the complex walking around which was not unusual since they were performing maintenance on the property. After we finished our conversation I let my client know I would return to and be waiting in my vehicle while they performed a thorough inspection of the property. I walked back to my SUV and that is when one of the workers there informed me the police were called. I couldn’t overstate how shocked I was. After a short time of waiting in my vehicle with my daughters the police arrived. I of course was questioned and explained what happened from my perspective and then whoever called got to tell their story. At that time they felt I needed to be arrested. I was allowed to call my wife to pick up our daughters while I waiting in a police vehicle. After she arrived I was brought in to the station and some time later was able to bail myself out. This was just the beginning of a horrific situation and it is still unfolding. I thought that was the worst day of my life until one week later my story made the news. I never thought in my entire life something like this could happen to me since my girl’s and all my family mean more to me than all the money on the planet and would never let any harm come to them. According to police testimony, 38-year-old Luberda left his two daughters, ages 4 and 1, inside a car near a housing complex where he had a showing for about 20 minutes. After witnesses called the police to report seeing two children in a car alone, the officers rushed to the Spring Lake Village complex in Southington, Connecticut. Once on the scene, they found two young girls inside a parked car with the windows rolled up even as the weather reached 84 degrees. Although Luberda made it back to the car just before the police, he was still arrested and charged. The girls, who the police said were not hurt by the heat, went home after their mother came to pick them up. After releasing Luberda on bond, the police set his court date for Sept. 4. His profile on realtor.com says that he has been working as a real estate professional for more than 10 years. Editor’s note: This story has been updated with a statement from Luberda.